Getting started in 2015. For the first issue of publications of the week this year, we have chosen a few case reports of genetic epilepsies, which expand the spectrum of known syndromes. All three publications highlight important features of rare genetic epilepsies that you might not have been aware of. 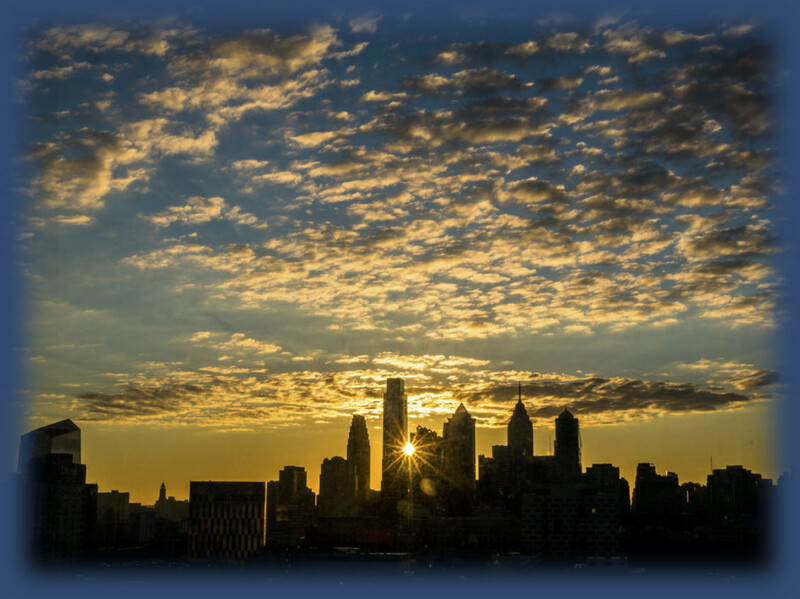 Philly Twilight (modified under a Creative Commons license from www.flickr.com/photos/chenyuming/15266943975). AKT3. The protein kinase AKT3 is one of the actors in the mTOR pathway and has been implicated in megalencephaly with microgyria, sometimes with additional syndromic features such as polydactyly. In a recent publication in Molecular Genetics and Metabolism, Nellist and collaborators report the case of a patient with a germline activating AKT3 mutation with refractory infantile spasms who has persistent issues with hypoglycemia, which was thought to be due to hypermetabolism mediated by the constantly active AKT3 kinase. The authors put the patient on the ketogenic diet, which treated both the infantile spasms and hypoglycemia. Conclusion: We usually don’t think too much about the systemic effects of the epilepsy gene mutations found in patients. In fact, some brain malformation genes may put children at risk at issues such as hypoglycemia, and switching the metabolism to ketones through the ketogenic diet may represent an option. TBC1D24. In a recent publication in the European Journal of Pediatric Neurology, Strazisar and collaborators describe a family with two siblings affected by severe early-onset epileptic encephalopathy, profound hypotonia, and sensineuronal hearing loss. The authors identified novel compound heterozygous mutations in TBC1D24 in this family, highlighting that TBC1D24 may present with early-onset epileptic encephalopathy phentoypes. Conclusion: TBC1D24 is a mysterious gene. It may be one of the most common causes of recessive epilepsies and the phenotypic range is large, ranging from relatively benign infantile epilepsies to severe epileptic encephalopathies to malformation syndromes such as DOORS syndrome. Something to always keep in the back of your mind. BRAT1. Straussberg and collaborators report a homozygous mutation in BRAT1 in two siblings with early-onset myoclonic seizures in the European Journal of Pediatric Neurology. Both siblings had secondary microcephaly and hypertonia, and had recurrent issues with apnea and bradycardia. Both patients died in infancy due to cardiac arrest. BRAT1 was initially identified in an Old Order Amish infant with catastrophic epilepsy and corticobasal degeneration, a syndrome referred to as lethal neonatal rigidity and multifocal seizure syndrome (OMIM #614498). It has also been described as a cause of familial Ohtahara Syndrome. Conclusion: Some recurrent recessive mutations may lead to recognizable catastrophic epilepsies in infancy. In BRAT1, the prominent rigidity due to degeneration of the basal ganglia may provide a clue towards the diagnosis. This entry was posted in 2015, papers of the week, Publications and tagged 2015, ATK3, BRAT1, DEPDC5, DOORS, mTOR, Philadelphia, PRRT2, snow, STRADA, TBC1D24. Bookmark the permalink.